Time has stopped in Hollow Hills. Richard Helms is being held inside a virtual reality inside the crashed Astral ship. Meanwhile, the survivors back at the Bar and Grill are trying to understand what happened to their town. As Richard struggles to get back to his body, and his friends try to bring him back, a new threat is rising over the hill. 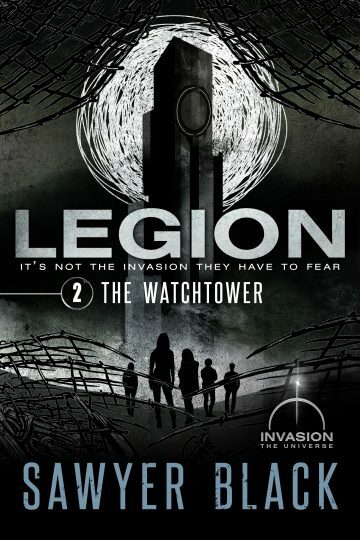 The Watchtower is the second book in Sawyer Black’s Legion series, set in the bestselling Invasion Universe. If you are looking for a grim, action-packed thrill ride reminiscent of Under the Dome and Alien Nation, you’ll love Legion Under the Hill. Pick up your copy today!